It is fair to say that French interiors exude a certain je ne sais quoi, and French people have a flair for the refined yet effortless home. Their spaces might be chic, but they’re always welcoming and never precious. They’re classic but with a modern edge. And while the French feature pieces from some of the most iconic designers of the 20th century, their design never feels ostentatious. 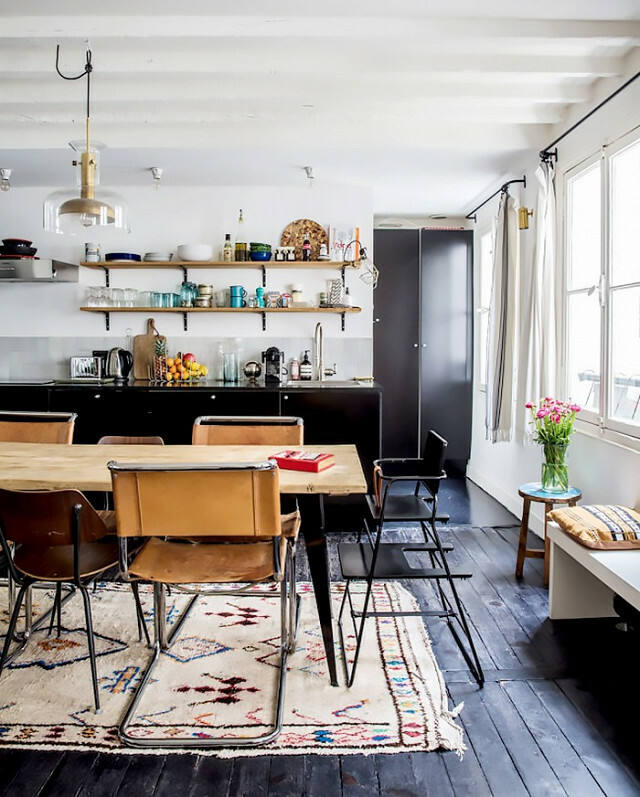 In other words, French apartments are just like the effortless style of Parisian’s—simple and timeless. Find out what makes Parisian homes so covetable and how to achieve the look yourself! The French treasure family heirlooms and pieces that aren’t pristine. They won’t dismiss a chair if the leather is stained and don’t mind a crooked hardwood floor. The result: a space that feels more lived-in than immaculate. French designers have no qualms about placing a modern chair beside an 18th-century dresser or having ultra-modern lighting against a ornate background. It’s all about the dynamic tension that exists between different periods and styles. Incorporate pieces that your family collected in your décor—did they have a midcentury penchant; a collection of nautical memorabilia; or rugs and textiles from their own family heritage? Weave these pieces in with your own personal taste to create a sense of history in your home. “Forsual” is the perfect balance between formal and casual, something the French know how to do. Find the right balance in your space where you can easily entertain for a more formal affair when required but can still enjoy your space every day without being too precious about stains, scratches, and marks. Share your favourite decorating tip with us below!